Switch – Or Die Trying is a puzzle-platformer that follows the letter “i” in both lower and upper case. The premise of the game is the letter “i” is trying to rescue all of his friends that were taken from him, the other 25 letters of the alphabet. You play as the letter “i” through 75 levels of varying difficulty, broken out into 5 books containing 15 levels each. The main ability used in traversing each level is switching between lower and upper case “i.” This provides an extra boost to reach areas that are higher or farther. There a several actions you learn as you move through the levels such as wall-jumping, changing case and shooting. Each action helps you get through the levels and can even help you achieve faster completion times on previous levels once you get the hang of them. There are three stars you can earn for each level: one for completing the level, one for collecting the ink drop found in each level and a third star for finishing within a set time limit. 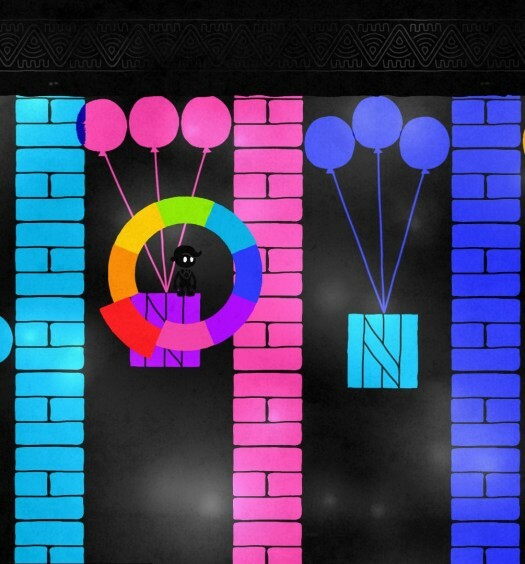 Some levels are more challenging than others and it is not a linear progression of difficulty, meaning you might have a few levels later in the game that you find easier to complete than some of the first ones. Level progression — One of the key factors to overcoming some of the frustration of the harder levels is the level progression style. When you start a new book, you have 15 levels to choose from. You can complete these in any order you’d like and you can even skip some and visit them later. In order to unlock access to the next book with the next set of levels, all you need to do is complete 10 of the 15 previous levels. So you can unlock every book and be able to play every level just by completing two-thirds of them. You don’t even need to get all three stars on the 10 levels you complete. You can take as long as you want and just get one star for completing each one and move on. Responsive controls — In a game like this, where quick reaction time and hand-eye coordination is the focus, it is crucial to have controls that are fluid and responsive. 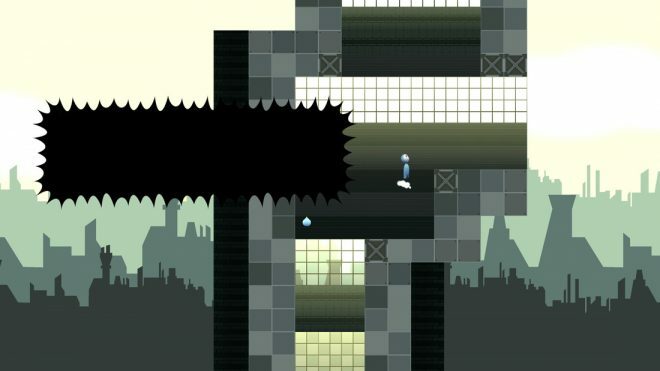 When you want to jump, switch to capital “I,” wall-jump then shoot, the controls need to respond the instant you do that. In some cases you will be pressing four or more buttons along with shifting the joystick to the other direction all within about two seconds. 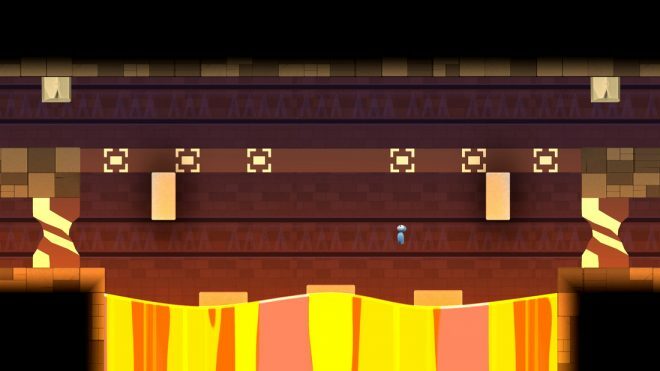 After that, you will do some creative jumping, shifting case and wall-jumping in rapid succession to get to the next platform. 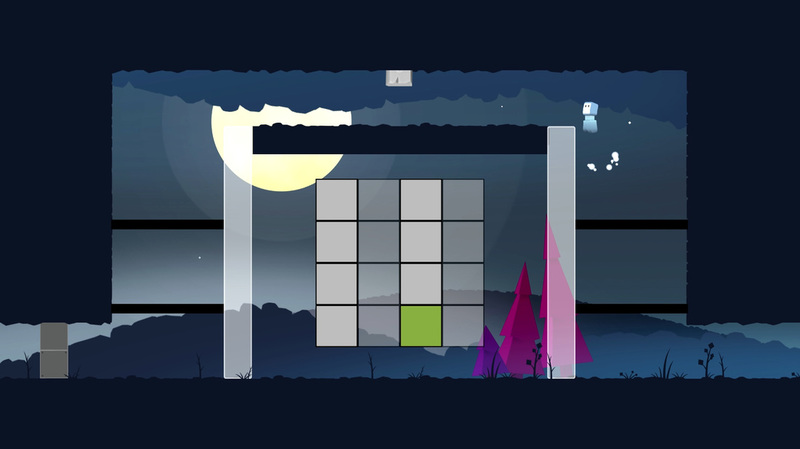 While the levels can be frustratingly difficult, this game sets you up with the tools you need. Level achievements — As I mentioned above, there are three stars to be earned in each level: finishing the level, collecting the ink drop and finishing within a set time limit. You only need to beat the level to move on, but you can collect the ink drop and beat the time limit in separate runs from each other. In order to get all three stars, you do not need to accomplish all three tasks in the same run. However, if you do complete all three together, you are awarded an “Excellence” rating along with a fourth star that is red. This is a major challenge for completionists who want that perfect 100%. The way this is structured to allow moving on with just one star helps it to be more accessible to those who aren’t keen on speed runs. Focuses on speed runs — It seems that it is highly catered toward speed runs. To earn the star for beating the time limit, you must execute every action near flawlessly, in most cases ignoring the ink drop which prevents you from earning the “Excellence” rating. 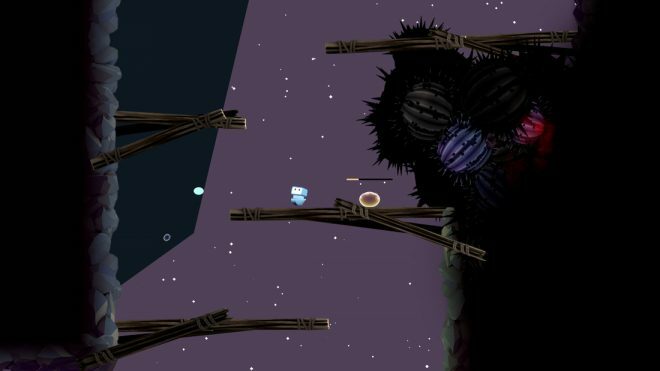 Many levels also depend on non-controllable elements such as a dot that needs to be hit moving up and down behind an object or rockets shooting at you that are needed to break through barriers. These elements can easily add five or more seconds to a run, which will cause you to restart the level and try again… and again and again. In some games, replaying levels to overcome that challenge you just can’t quite beat can be exhilarating, but not in this one. It is tiresome, frustrating and makes me want to switch games. Switch – Or Die Trying is a simply designed, yet polished game. It can hold its own and be an enjoyable experience for the right player. It is easy to get a grasp of the controls and responds to those controls perfectly. It has a forgiving level progression method and an achievement style that encourages you to skip a hard level and come back to it later, essentially helping you step back from a frustrating level and moving on. I would’ve liked for the level difficulty to stagger more. For example, after a particularly hard level that I will probably skip, give me an easier one to build back my confidence and make me want to keep playing. This game is not for everyone. It’s mostly for those who find pleasure in speed running levels and those who are avid platformer fans. For everyone else, maybe skip this one. Switch – Or Die Trying was developed and published by Threye Interactive on Xbox One. It released on February 28, 2018, for $6.99. A copy was provided for review purposes.